28 Ng5 Be6 29 R7xe6 Rxc4 30 Re8+ Resigns. 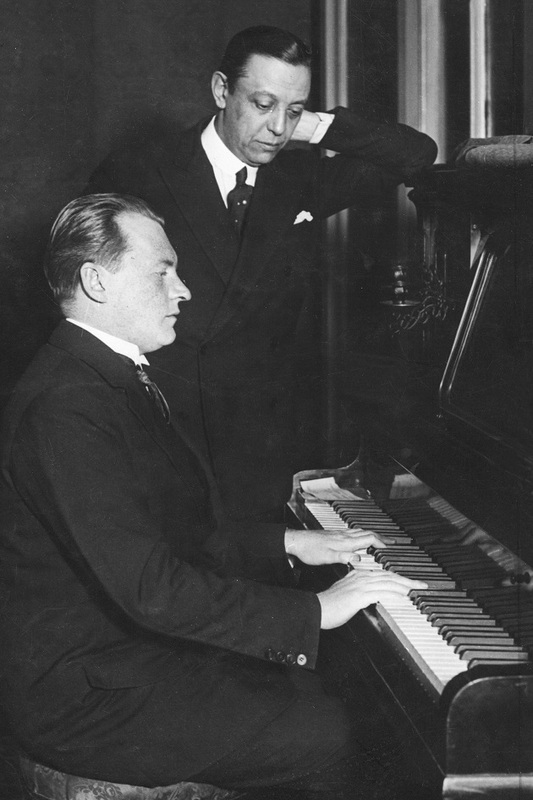 As reported on page 386 of Kings, Commoners and Knaves, Ossip Bernstein stated that his favourite player was James Mason, ‘not because he was the strongest but because he played my two favourite combinations’. 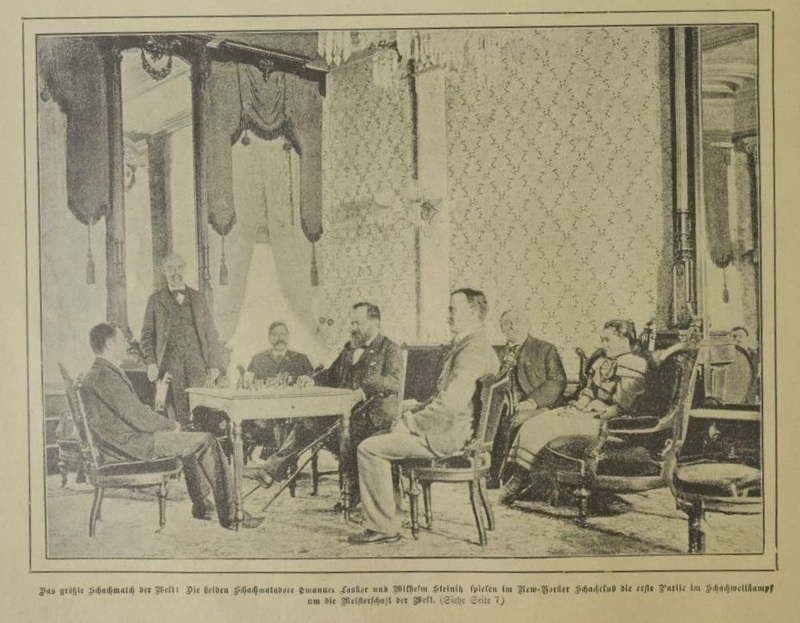 The games were Mason’s victories as White against Winawer (Vienna, 1882) and Janowsky (Monte Carlo, 1902). 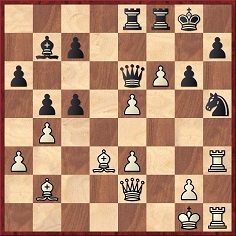 Steinitz called 43 Rb7+ ‘a wonderfully brilliant stroke’. 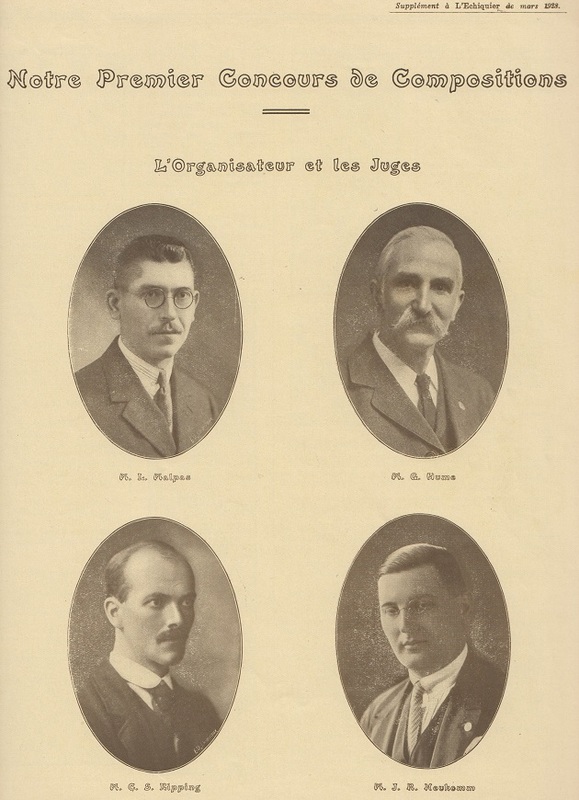 Further to Where Did They Live?, Neil Blackburn (Redditch, England) notes that there are many postal addresses in a chapter entitled ‘Die Schachfreunde in Deutschland, Holland u. Oesterreich-Ungarn 1905/1906’ on pages 513-579 of the Barmen, 1905 tournament book. Additions to the feature article will be made in due course. The article currently has no entry for C.H.O’D. Alexander, and Paul Lonergan (London) asks whether a Cheltenham address is available for him. Many editions of the British Chess Federation Year Book of the 1950s and 60s gave Alexander’s address as Brecken Lane, Cheltenham. Towards the end of the 1960s there was a change to 28 King’s Road, and later Alexander’s address was the Old Bath Lodge, Thirlestaine Road. ‘Page 12 of my 2014 book Historical notes on some chess players contained a quote from Löwenthal’s chess column in the Era which supported the view that the middle part of the Staunton v Harrwitz match was played in Brighton (the first and last few games having been hosted by the London Chess Club). Here the game was adjourned and adjudicated, as stated below. 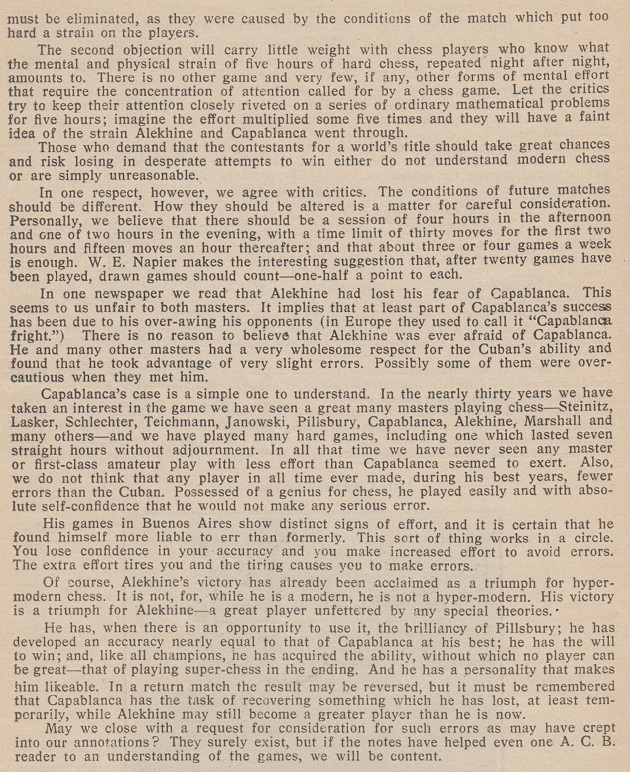 The Capablanca v Beckman game is known, having been published on, for instance, page 96 of the February 1925 BCM. 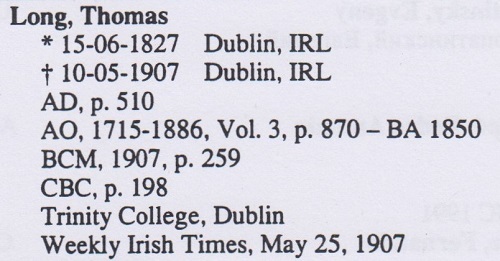 The book’s bibliography lists four works by William Hartston, but in none of them do we see the remark. 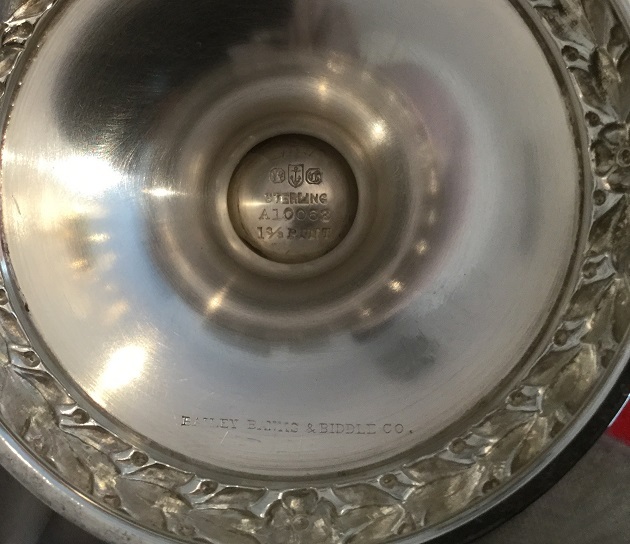 Mr Hartston informs us that he does not currently recall its exact provenance. The picture was given, from another source, on page 55 of Emanuel Lasker Denker Weltenbürger Schachweltmeister edited by Richard Forster, Stefan Hansen and Michael Negele (Berlin, 2009). 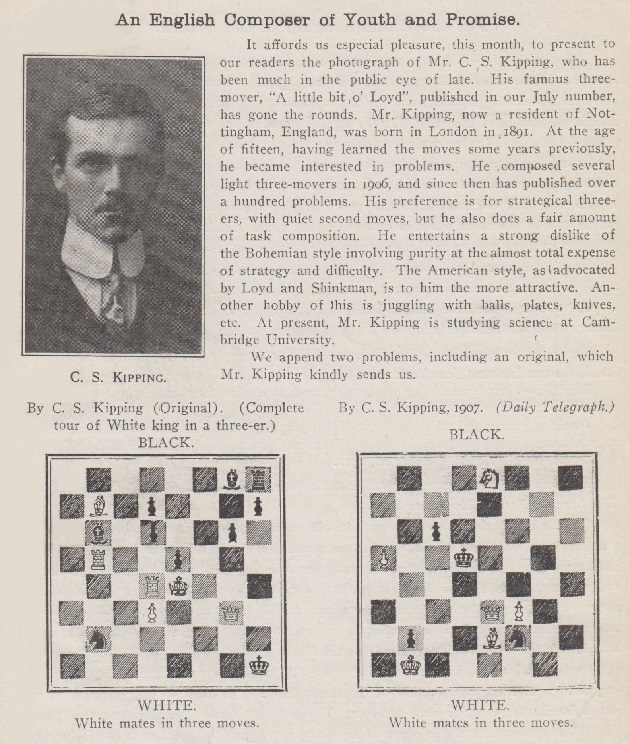 Source: American Chess Bulletin, September-October 1927, pages 158-159. The passage is on pages 86-87 of the London, 1932 edition. 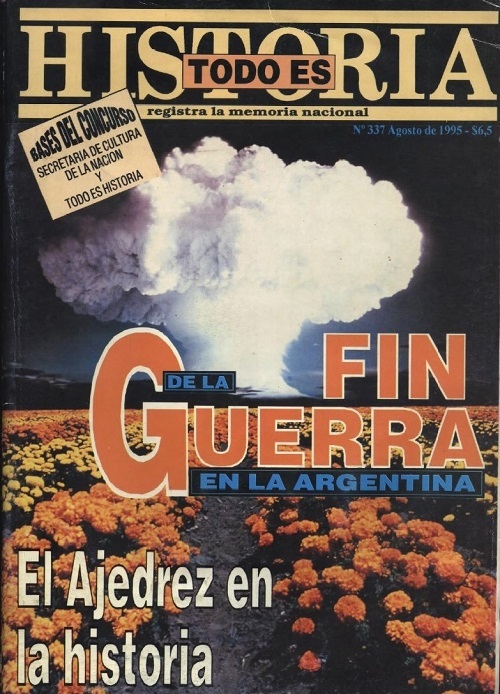 ‘For McFarland & Company, Inc. 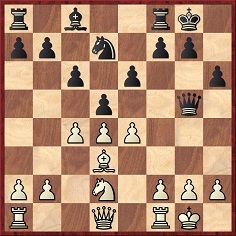 I am working on a book about Bent Larsen, and in particular his games with 1 b3 (Larsen’s Opening). 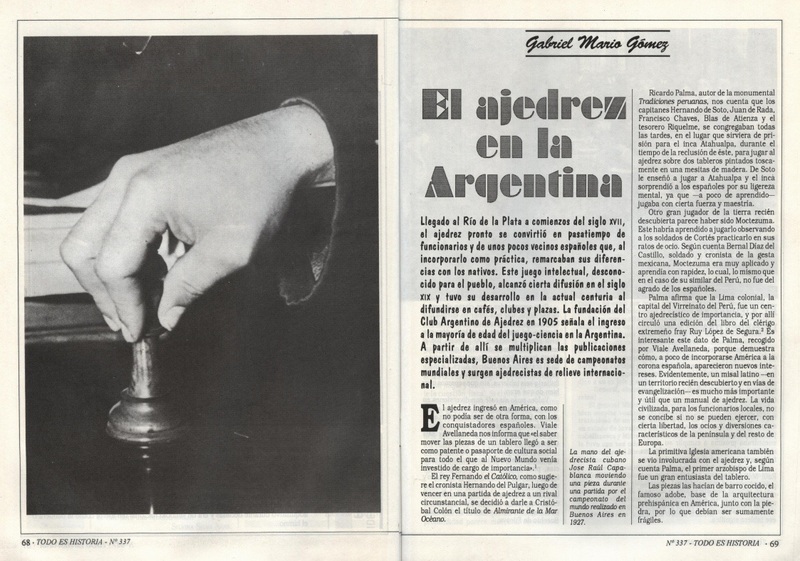 Most were played between 1968 and 1975, and I am eager to obtain original photographs of him at these events: Monte Carlo, 1968; Lugano Olympiad, 1968; Palma de Mallorca, 1968; Busum, 1969; San Juan, 1969; Palma de Mallorca, 1969; Lugano, 1970; USSR v The Rest of the World match (Belgrade), 1970; Leiden, 1970; Siegen Olympiad, 1970; Vinkovci, 1970; Interzonal, Palma de Mallorca, 1970; European Team Championship, Aarhus, 1971; Palma de Mallorca, 1971; Teesside, 1972; Las Palmas, 1972; Hastings, 1972-73; Manila, 1975. 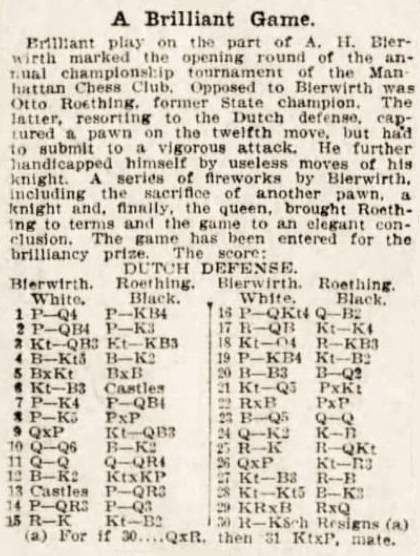 Games in which Larsen played 1 b3 in other events, including simultaneous exhibitions, are also sought. 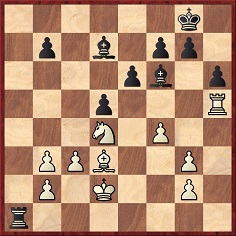 I originally thought that Larsen v Benko in the fourth round of the Monte Carlo tournament on 6 April 1968 was the first time he played 1 b3, but in the database of the Dansk Skak Union I found Larsen v Knudsen in round two of the Copenhagen Championship on 15 February 1960. 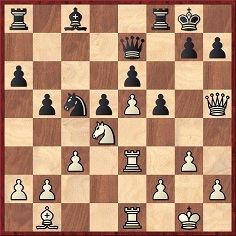 There are, of course, pre-1968 games by Larsen with 1 Nf3 and 2 b3. As a sidelight, there is the comment by Krishna Prasad (Delhi Diary in the Outlook news magazine, 2 May 2016) that “Bent Larsen, the former world no. 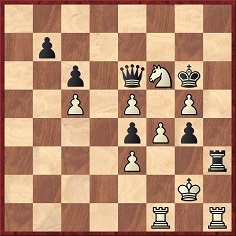 3 in chess, has revealed that he would never wear a tie while playing because ‘less blood would get to his brain’.” Is it known where Larsen made that remark? We shall gladly forward to Mr Fields any messages from readers who can assist him. 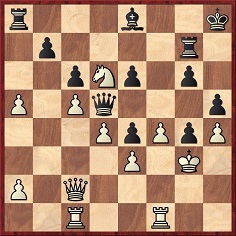 32 Rxh5 gxh5 33 Bxh7+ Kh8 34 Qxh5 Resigns. The game is not unknown. 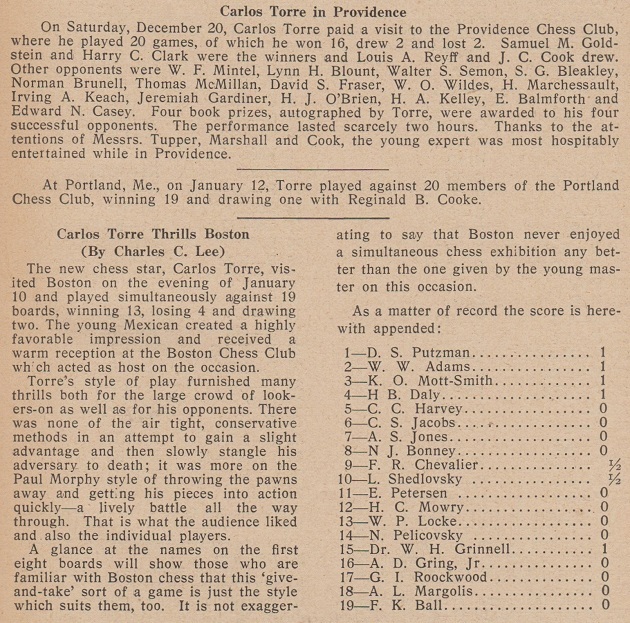 It appeared in both editions of the Capablanca games anthology by Rogelio Caparrós (Game 291 and Game 289 respectively), in each case with the wrong year, 1915. 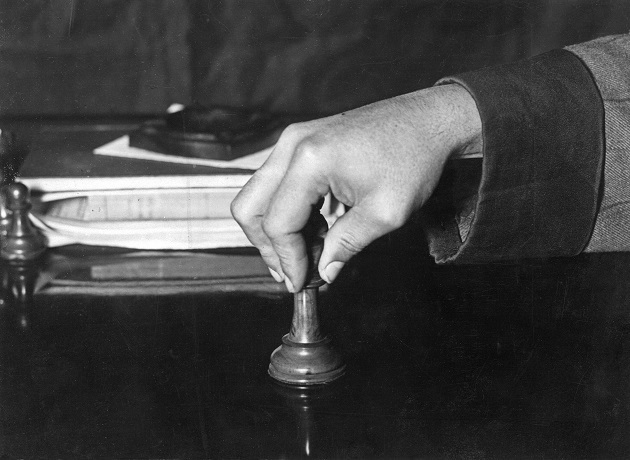 The ‘exact’ date given by Caparrós was 29 April 1915, even though his own book noted elsewhere that on that day Capablanca defeated Edward Lasker in the New York tournament. 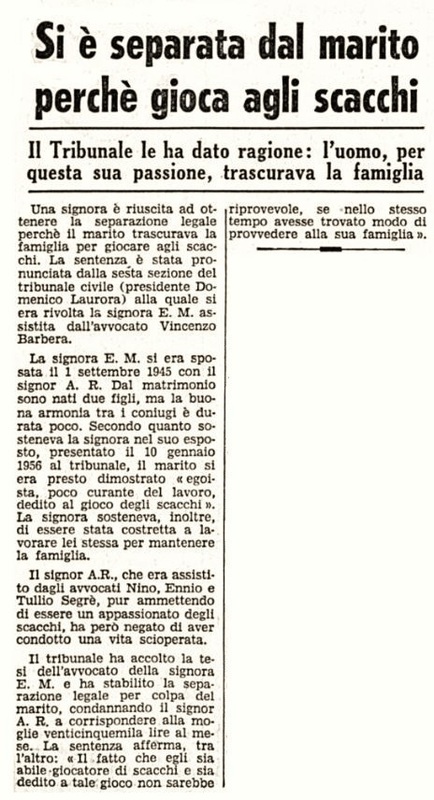 The Mega Database 2018 also goes astray, with 3 April 1915 as the date of the consultation game against Labatt and Buck. 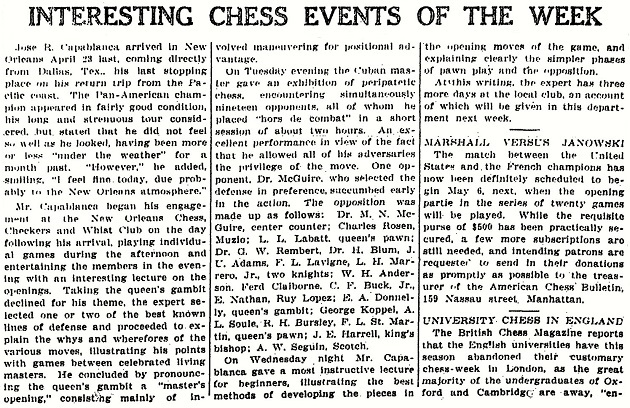 New Orleans Times-Picayune, 7 May 1916, page 11. 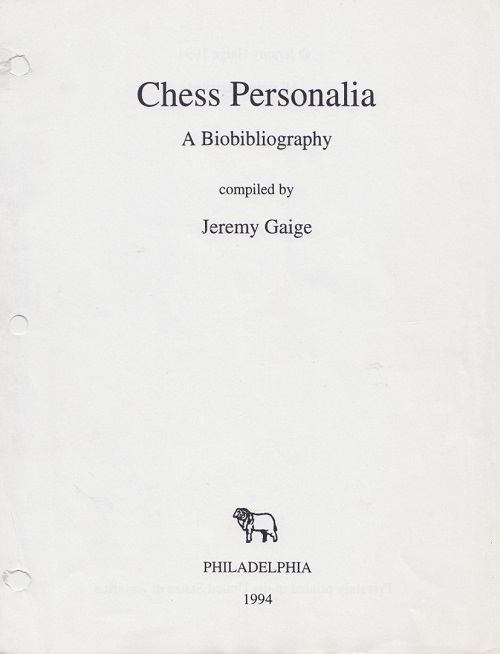 As a matter of common sense, fair play and respect for the late Jeremy Gaige, the privately distributed 1994 edition of Chess Personalia (860 pages), referred to in C.N. many times, should obviously be taken into account by anyone presuming to make corrections or additions to the 1987 McFarland edition. 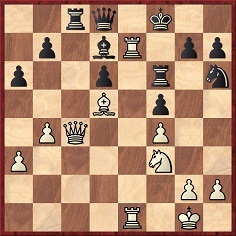 13 f4 Qg6 14 cxd5 cxd5 15 f5 exf5 16 e5 Qb6 17 Nb3 Nxe5 18 Bxf5 Nc4 19 Bxc8 Raxc8 20 Qh5 Qg6 21 Qxg6 fxg6 22 Rxf8+ Rxf8 23 Re1 Nxb2 24 Re5 Nc4 25 Re7 Rf7 26 Re8+ Kh7 27 Nc5 h5 28 Ne6 Rf5 29 h4 Nd6 30 Re7 Rf6 31 Ng5+ Kg8 32 Rd7 Nf5 33 Rxd5 Rd6 34 Rc5 Kf8 35 Rc7 Nxd4 36 Rxb7 Ra6 37 Rf7+ Kg8 38 Rd7 Ne6 39 Nxe6 Rxe6 40 Rxa7 Re1+ Drawn. 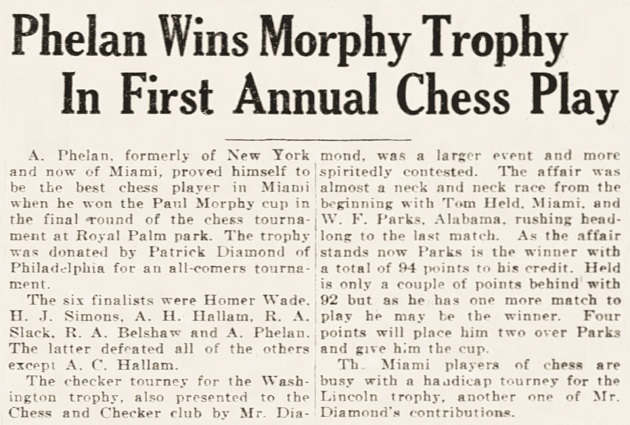 Source: Philadelphia Public Ledger, 13 June 1926. 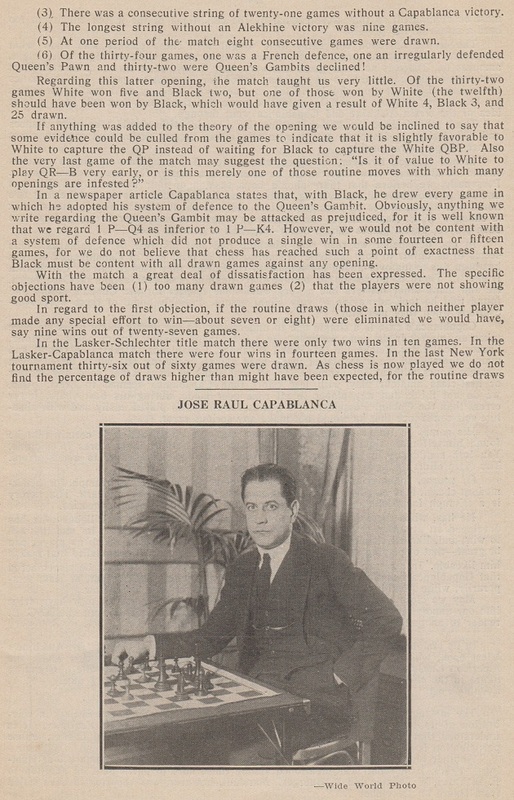 The exhibition is listed on page 190 of the revised (New York, 1993) edition of The Unknown Capablanca by David Hooper and Dale Brandreth but was absent from the first edition (London, 1975). 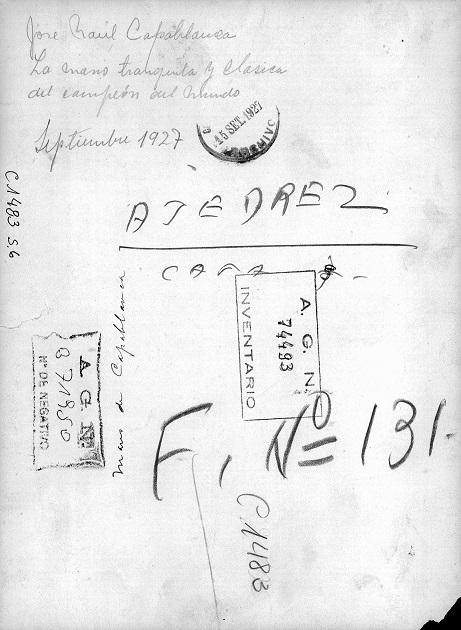 The above account is fully corroborated by our own extensive correspondence at the time with Caparrós and Brandreth. Source: Aalborg Katedralskole 450 år (Aalborg, 1990), pages 146-147. 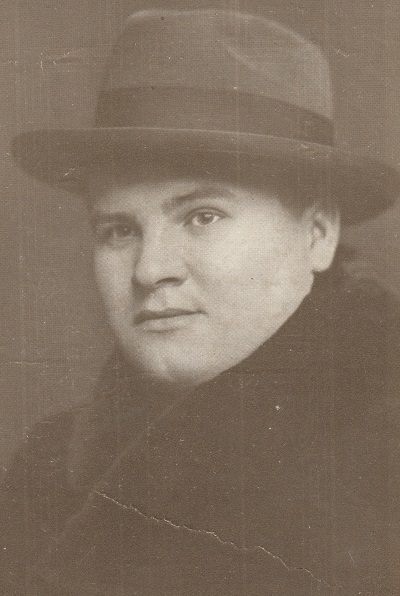 Our correspondent adds that Knud Lundberg (1920-2002) played football, handball and basketball for the national Danish teams, and later became a sports journalist and author. Mr Løfgren furthermore points out a photograph of Larsen receiving the Icelandic Order of the Falcon in November 2003. 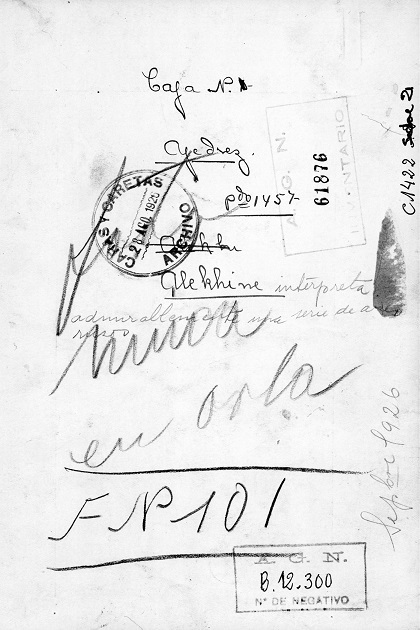 João de Souza Mendes, L’Echiquier, January 1928, opposite page 816. See too the feature article Zugzwang. 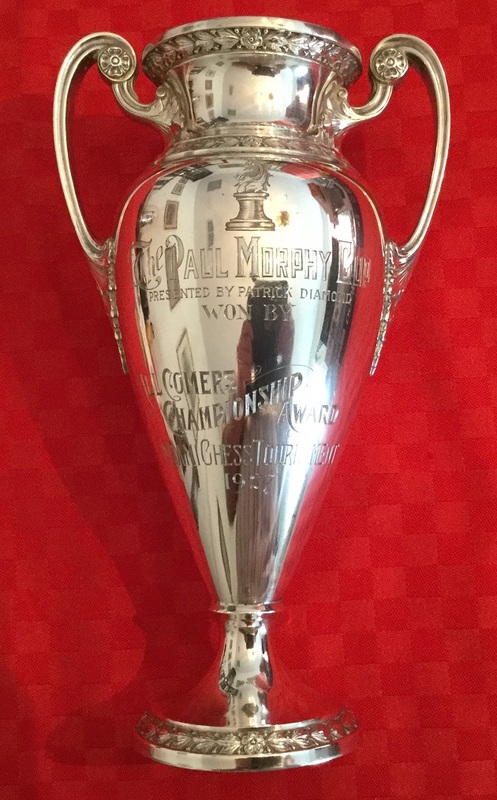 Page 147 gave their game in the Hastings tournament, played on 1 January 1966. 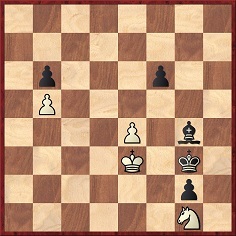 That is the opening paragraph of chapter one of Short v Kasparov The Hi-jacking of The World Chess Championship by William Hartston (London, 1993). 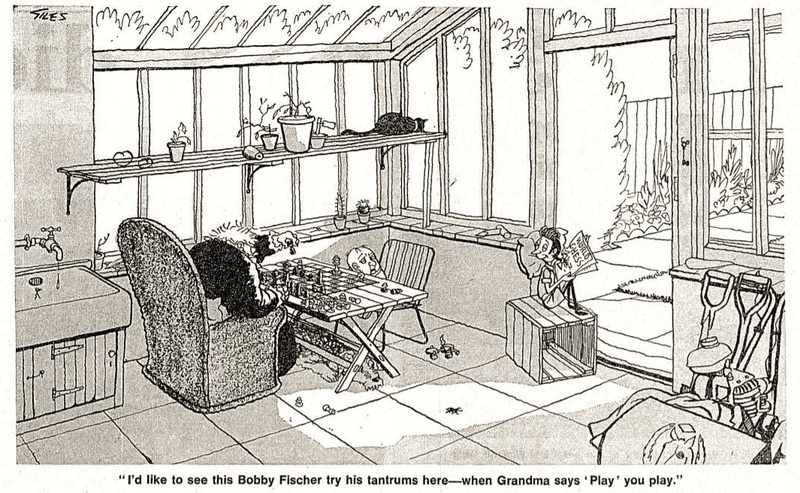 See page 3. 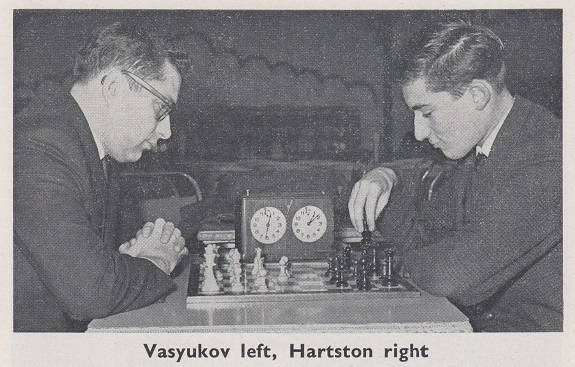 Hartston is at his deadpan best when describing how the 1993 Kasparov v Short match was organized and how The Times covered it. In C.N. 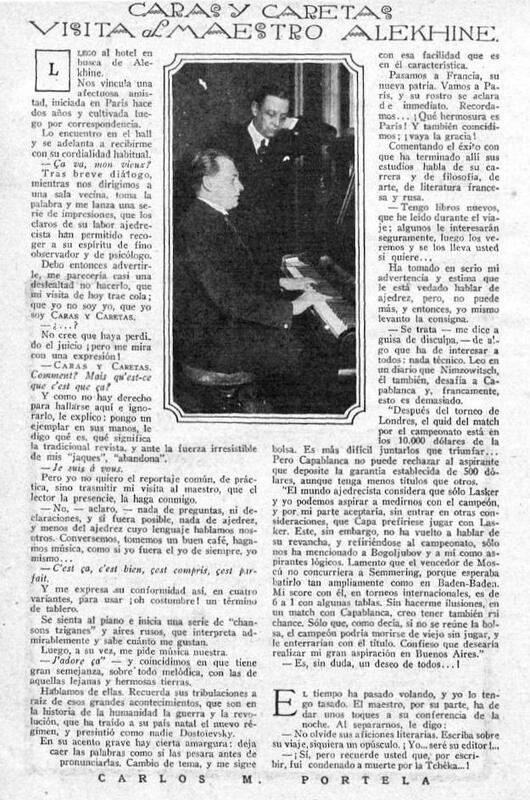 7290 Christian Sánchez (Rosario, Argentina) pointed out an interview with Alekhine by Carlos M. Portela on page 8 of the magazine Caras y Caretas, 4 September 1926, which was accompanied by a photograph of Alekhine playing the piano. 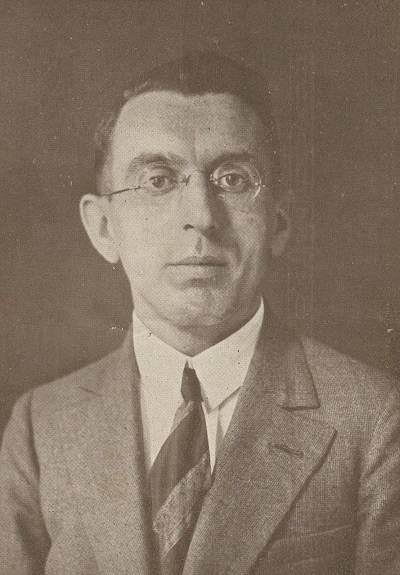 For later references to Nimzowitsch and radio broadcasts, see pages 189 and 192 of Aaron Nimzowitsch 1928-1935 by Rudolf Reinhardt (Berlin, 2010), or pages 191 and 194 of the English edition (Alkmaar, 2013). 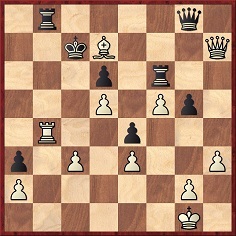 24...e5 25 Ne2 Bg4 26 Rh2 e4 27 Bc2 Ra2 28 Nd4 Rxb2 29 White resigns. 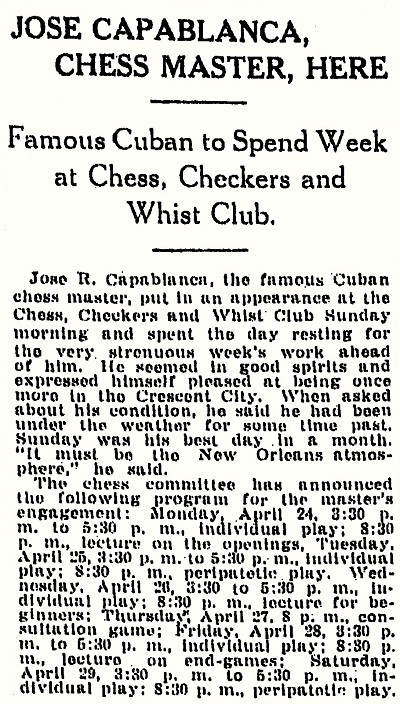 ‘Philadelphia chessplayers turned out en masse on Thursday afternoon and evening on the oc­casion of José R. Capablanca’s exhibition at the Mercantile Library Chess Association – one of the most interesting chess events in this city for many years. 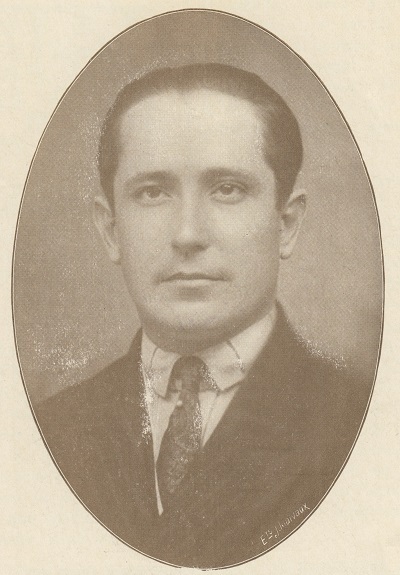 Theodore Tilton was discussed in C.N. 4408. 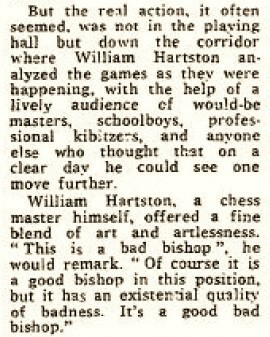 Alan O’Brien (Mitcham, England) asks for details of William Hartston’s appearance in the ‘Pseuds Corner’ column of Private Eye, when ‘the magazine did not realize that Hartston was being funny’ (with references to existentialism and a good bad bishop). 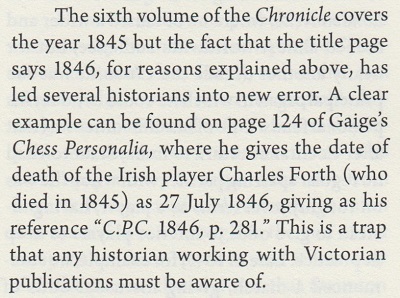 We do not have the relevant issue of the magazine, but a search in Google Books provides the text (an attribution by David Spanier in The Times) and shows that it was included, with the name ‘Hartson’, in Private Eye’s Oxford Book of Pseuds (London, 1983). 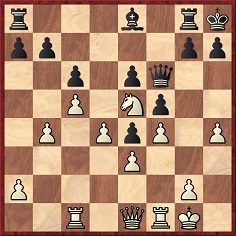 Sections 26 and 67 of Hartston’s fine book Better Chess (London, 1997) are entitled, respectively, ‘The Good “Bad Bishop”’ and ‘The Bad “Good Bishop”’. 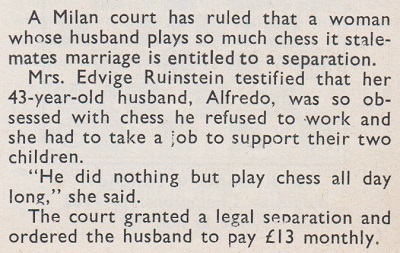 An interview by Cathy Forbes with Jon Speelman on page 28 of CHESS, April 1990 stated that a remark of his ‘has even earned him a place in Private Eye’s Pseuds Corner’. 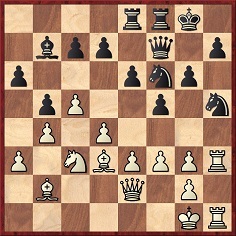 See too Unintelligible Chess Writing and Franklin Knowles Young.